What is required to settle in Hong Kong? There are a lot of places in the world that seem like they would be inherently interesting just because of where they’re located, but Hong Kong is definitely one of the places that you would most likely find multiple reasons to visit. For work, entertainment, or just a stopover, Hong Kong is likely to be a great experience for anyone. The sights, the sounds, even the smells of the city would be enough to tantalize the senses. To add to that, the opportunities that abound in the city of Hong Kong are seemingly endless. Now all you’d have to worry about is the immigration process. Hong Kong’s immigration process is just as thorough as anywhere. If you have a criminal history, no job, no other prospects other than to move to the country and attempt to get by in life you will likely be rejected for residency. Those in charge want to be certain that those who want to help their economy rather than become a burden are those that are selected for residency. In order to better stimulate the country, those that have control over the process will often select those that they feel are the best fit for Hong Kong’s economy, sometimes even just denying residency if they feel that a person is somehow not fit to become a citizen. This might seem a bit biased, but keep in mind that most places want to be careful about who they accept. No country wants to take in those that are going to be a financial burden to their economy and for good reason. The more of a drain a person is on the economy, the more effort must be expended to either take care of them or deport them back to their native country. Both options are less than desirable in any case. If you’re serious about coming to Hong Kong and have a plan in mind you’ll need to make yourself look as good as possible. This means that you will need to come with money in hand if you don’t have a residence or place to stay upon landing. Whether it is for education, business, or you have a job waiting for you, it will still be necessary to obtain the necessary visa so that you will be legally allowed to remain in the country. Previous PostCan I Visit Thailand without a Visa? I am writing to you for your help and advice to get Hong Kong visa for my Family. 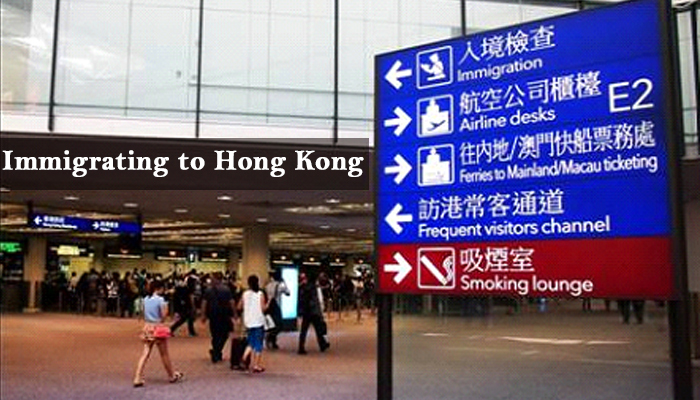 interested in hong kong immigrate .